At Forest Oaks Apartment Homes, we want to exceed your expectations. With top-of-the-line features and some of the largest floor plans in the area, your new apartment is designed to inspire. Prepare chef-quality meals in your fully equipped kitchen, featuring stainless-steel sinks and a sleek tile backsplash. After dinner, unwind with your favorite book in the garden soaking tub. In the summer, you can take a dip in the sparkling outdoor swimming pool. Surrounded by a resort-inspired sundeck, you can relax in style. Our community also boasts a fully equipped fitness center as well as outdoor fitness stations to help you stay in shape. If you’re a pet-lover, stop by the onsite dog park to let your pup stretch her legs when you get home from work. Find your perfect space at Forest Oaks Apartment Homes. 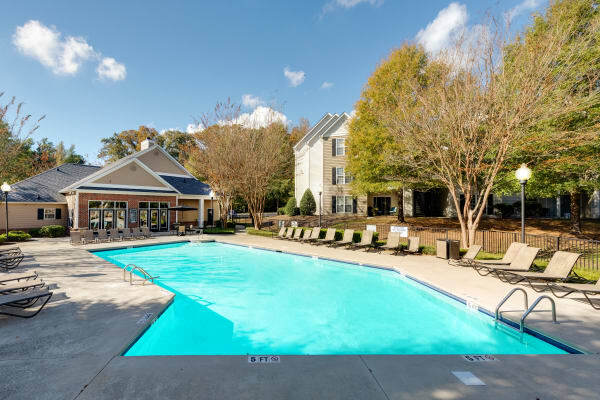 Our friendly team is here to help you schedule your personalized tour of our Rock Hill, South Carolina, apartments near Winthrop University.